Day One of Crypticon is in the books, and I can’t wait to start Day Two later today. Especially excited to see Mitch and Nicole of TriWar pictures. Their film After the Dawn is getting huge, and success couldn’t happen to two nicer people. Also had a great time catching up with the gang at Zombie Ammo, who always have the situation fully under control. And I finally picked up a copy of Potpourri from Restraining Hollywood, which has an underground Bill and Ted feel about it and is a whole lotta fun to watch. It’s the easiest place in the world to get to know people, and it’s great to immerse myself in creepiness. It helps motivate me to stay on top of my writing projects, so I can be the one scaring the folks at the ‘con. 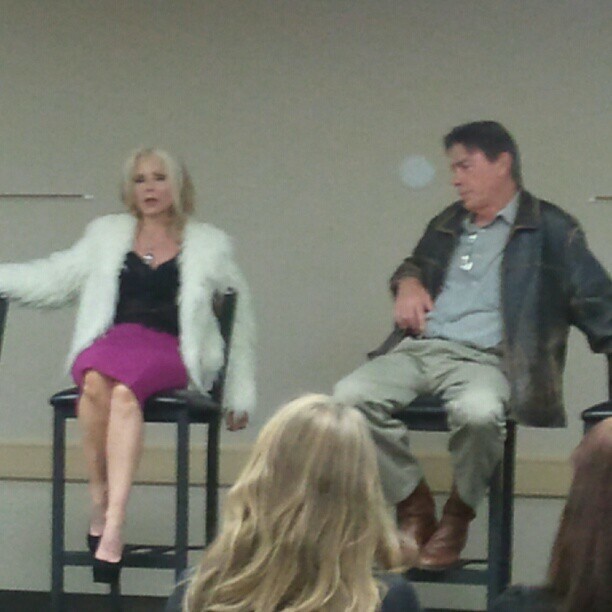 A question I asked at the Friday the 13th panel, with Melanie Kinnaman and Richard Brooker, re-ignited an idea I’ve had for a horror novel/screenplay that would be The Maltese Falcon meets Chainsaw 2. May have to spend some time with that one.